Recently I took a long weekend break split between two Scottish Highland hotels, one of which was an old friend, The Summer Isles Hotel on the west coast, and one which was to be a new acquaintance, Coul House Hotel not far from the Highland capital of Inverness. These are two very different establishments – and very different experiences – yet each comes highly recommended in its own, unique and inimitable style. 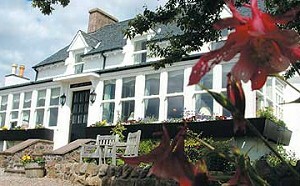 I last visited the magical Summer Isles hotel on the wild, beautiful northwest coast of Scotland in 2006. The wonder begins with the journey. As you complete the 240 mile trip from Glasgow to Ullapool, the adventure is really just beginning as 25 miles of single-track road lie before you, passing through some of the world’s most astonishing scenery. This road, sometimes shimmering in the jewel-like clarity of a clear, sunny day this far north, sometime forbidding and menacing under glowering storm clouds, passes through the ancient landscape of the Stac Pollaidh, Suilven and Ben More Coigach mountains. Winding your way down the road you will pass deep, still lochs and catch glimpses of wheeling sea-birds, eagles and possibly seals and otters. This is as away from it all is it gets. The hotel is part of the tiny coastal community of Achiltibuie, little more than a series of whitewashed cottages strung out along the shore like a set of pearls. There is nothing but miles of shore, moor and mountain between you and Great Britain’s most north-westerly point, Cape Wrath, just a few miles further north. Every path and road offers stunning views, as you watch weather systems roll across the Summer Isles from the Atlantic, filling your lungs with the tangy, salt-licked air. Since my last visit, the Irvine family who had run this 13-roomed hotel for over 40 years had sold up, much to the dismay of regular visitors. In other circumstances this might have spelled the end for this extraordinary place, but I was intrigued to see that the hotel’s Michelin-starred chef, Chris Firth-Bernard, who has spent 20 years behind these stoves, was still very much in charge of the kitchen. New owners Terry and Irina Mackay, who have an existing small chain of quality Highland hotels, seem intent on a process of gentle evolution. Drawing into the car park things seemed exactly as they had always been, the hotel sitting directly on the shore road with breathtaking views across to the Hebrides. The whitewashed building looked spick and span, and the garden was filled with early summer flowers. The public rooms seem to have been spruced up over the winter (the hotel closes between November and March) and the bedrooms, whilst not luxurious, are cosseting, comfortable and immediately relaxing. How nice to have the night’s menu and full wine list to peruse before heading down for dinner. I have to say that the Summer Isles kitchen is absolutely on the top of its form. 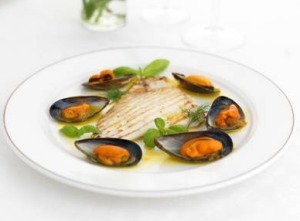 If anything, Firth-Bernard seems to have pared back his presentation and ingredients even more, allowing the wonderful local produce to take centre stage with immaculate cooking: scallops, lobster, langoustines or crab from the cold offshore waters, venison and lamb from the hillsides and big brown eggs from their own hens. Before dinner, as you sip a G&T or glass of Champagne in the lounge, trays of the freshest, most delicate oysters are brought round on ice-filled trays, and little hot canapés appear like clockwork. Everyone sits down together at 8:00pm, and there is no choice (though special diets can be accommodated with advance notice of course). The five-course dinner costs £55 per person, but includes one of the best cheese trolleys in the UK, coffee and service, and is actually a bit of a bargain for the quality of ingredients and cooking the team brings to this remote spot. Delicious breads come straight from the oven, and the 400-strong wine list kicks off around £15 and rises to the likes of Lafite, Pétrus and Romanée-Conti. Each evening, a wine is chosen to match each course and guests may opt to have that by the glass in a matching flight. Much lip-service is paid to the idea of simplicity in cooking; of letting prime ingredients speak for themselves. But the food at Summer Isles is consummate proof of concept. Highlights of two exquisite dinners included a starter of delicately flavoured roast fillet of organic salmon that was meaty without being heavy, served with a simple Hollandaise and slice of home made malted granary bread. A grilled breast of young quail, succulent and gently gamy, sat on wilted spinach with a mushroom purée, and Summer Isles hand-dived scallops were soft as butter served with silky mash and a basil and vermouth sauce. On another night, roast rib of Aberdeen Angus showed that seafood doesn’t have things all its own way. In a blast of retro 50s chic, not just cheeses but puddings too are brought round on trolleys, including wonderful home-made ice creams, cheesecakes and lighter fruit-based options. Coffee is served in the lounge, and is a sociable occasion. On my last evening I discovered that fellow guests from the south of England had spent the night before in my home town of Glasgow, about 50 metres from my front door, where they had dinner with mutual friends. The Summer Isles was weaving its strange magic right to the very end. Closed November – March. Rooms from £110 per night, bed and breakfast.